Do you have issues with deer helping themselves to your garden? Well, up until now we never had issues with them. 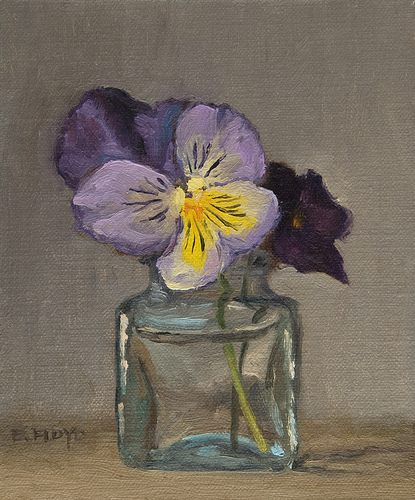 Twice this fall I have purchased several flats of pansies with the intention of planting them and painting them. Unfortunately a young buck has moved into my neighborhood and has actually been helping himself to the buffet I call my garden. These two flowers were all I could find when I went out to get some flowers to paint.